If you like your health, then put a ring on it. Among a bunch of other things, this one that has already crushed its Indiegogo campaign, can apparently track calorie intake. Fitness trackers are one of the hottest things out there. While helpful though, when it comes to calories, they often only cover one angle: calories burned. For years manual counting was the only way to track calorie intake, but there’s a new device out there in the process of crushing its crowdfunding campaign and it might just be giving us the finger we’ve been waiting for. 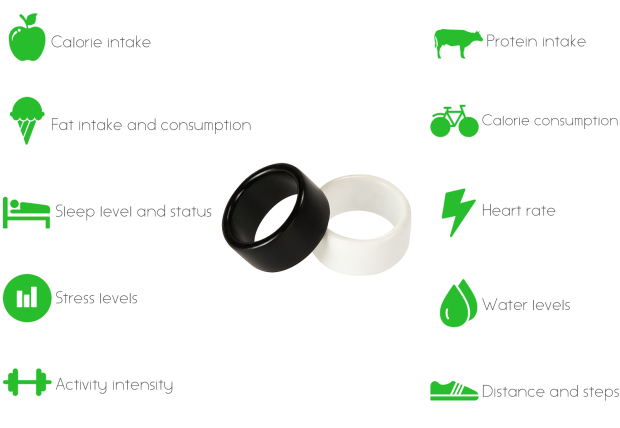 BioRing is a wellness tracker that simply slips onto a finger and measures the following: sleep levels, protein intake, heart rate, water levels, activity intensity, distance walked and of course, the real whale – calorie intake and fat intake consumption. With all the different metrics available, the device is designed to be an effective monitoring and analysis device for anyone looking to lose weight, maintain weight, increase strength, improve sleep, reduce stress, manage hydration, improve heart health, and increase general activity and productivity. The keys to the insight are three key sensors in BioRing: a 3-axis accelerometer, a bio-impedance sensor, and an optical heart rate sensor. As far as how the ring measures calorie intake, here is the quick explanation: when glucose enters the body, the cells’ water levels decrease; a bio-impedance sensor measures these level changes by sending high and low frequency electronic signals and measuring the resistance from bodily tissues. The promises seem to echo those of the infamous Healbe, one of the most controversial crowdfunding campaigns ever. Digging deeper however, the founders are confident that they are not headed down the same path. One major distinction is the science behind it all. 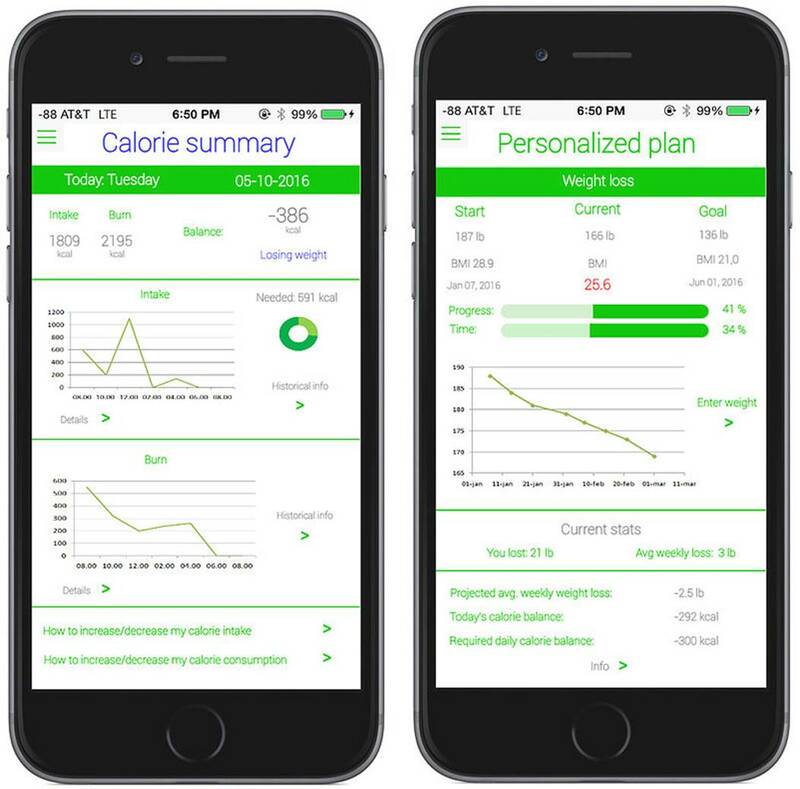 As with many other smart devices, there is a companion mobile app that enables users, through a dashboard interface, to easily view essential information such as weight lost, heart rate, sleep scores, nutrition balance, and other health KPI. For instance, in addition to measuring glucose levels, BioRing also calculates the time it takes the glucose levels to return to normal (the process of glucose rising and leveling out is known as the glucose curve). 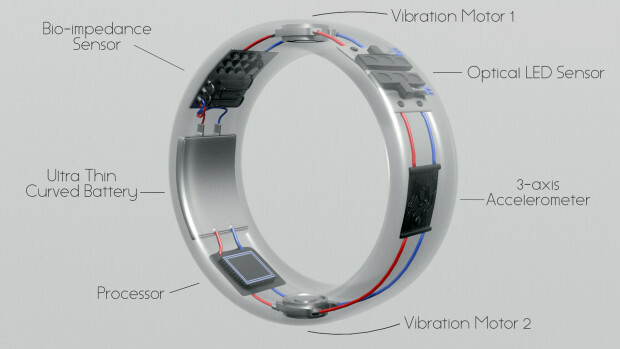 In addition to the health features, when connected to the user’s smartphone, the ring can also be configured to vibrate when a text or call comes in. To date, BioRing has raised more than $125,000 via Indiegogo, which is beyond 250% of their $50,000 goal – and the campaign still has a little over 3 weeks left to go. The limited edition version, constructed of sterling silver, is available for pre-order at $299. The standard BioRing can be pre-ordered for $199. Similar to Groupon promotions, there’s also an affiliate offer where if you buy one and get friends to buy four more, you’ll receive your ring for free. More trackers. There is always some sort of value that comes with these products, but how many are really going to get fully funded. Here is the thing. I do not need another smart device to tell me how many calories I am getting each day. I need a smart device that is going to keep me from driving to a fast food restaurant and smack food out of my hands that is not good for me.